An Improper Turn Traffic Ticket in Las Vegas, Nevada carries the risk of receiving a $395 fine, a misdemeanor charge, and 4 demerit points on your license. Improper turn laws are most commonly broken when a driver turns from the wrong lane, for example, a left turn from the right lane. An Improper Turn Traffic Ticket in Las Vegas, Nevada carries the risk of receiving a $395 fine, a misdemeanor charge, and 4 demerit points on your license. Turning from the wrong lane is one way to make an improper turn. There are laws on making turns at crossings, on one-way streets, and on multi-lane highways. Although turning from the wrong lane remains the most common way drivers are making improper turns, there are more ways that one can get a traffic ticket for this misdemeanor as well. When driving on highways and other roads in the state of Nevada, you must follow the laws about turns. 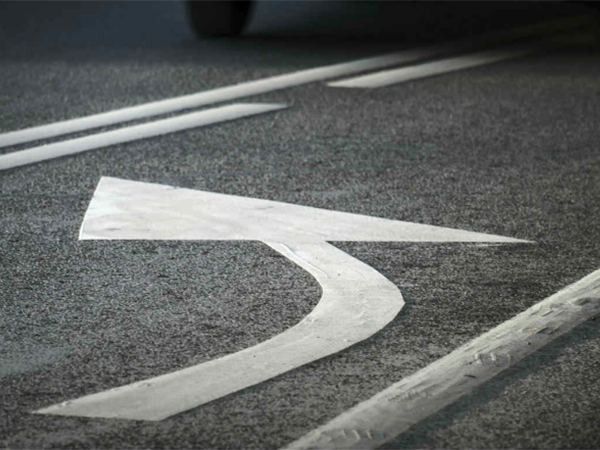 Nevada law requires drivers to use the proper lanes that are made for right or left turns. When there is no marked lane, the turn must be made from the proper lane, whether from the right or the left. Turns must be made from the marked lane for making a right turn. If there is no marked lane, the turn must be made from the lane that is furthest to the right on approach and when making your right turn. At an intersection where both highways are two-directional, drivers must approach from the farthest left lane on the right part of the highway that is closest to the center line. The turn must be made so that the driver moves to the right side of the center line of the highway the driver is moving to. When two drivers are making left turns at the same time, the turns must be made at the front of each other so that both stay on the right side of the center line. In Las Vegas, Nevada, moving between two-lane and one-way highways is easy when you know the law. When a driver is turning onto a one-way street, the turn must be made from the right side of the center line, as with any other left turn, and onto the one-way street. When going to the one-way street, you should stay as close to the left side of the one-way road as you can. When making a left turn from a one-way street to a highway with two or more lanes, you should make your approach from as far left as you can. Once you are in the intersection, the turn must be made after you pass to the right of the center line. Move as far left as you can on your approach to the intersection, then stay as far to the left as you can on your turn. As a misdemeanor, the penalty for turning from the wrong lane can cost you up to $1,000. Within Las Vegas city limits, this fine is $395. The judge will most likely only impose fines, although the court can sentence you to up to six months in jail. As a moving violation, you will get four demerit points on your license for turning from the wrong lane. The DMV will drop points for wrong lane charges after a year. If you get 12 points in a year, your driver’s license will be suspended for six months. Driving with a license suspension is also a misdemeanor, with fines up to $1,000 and up to six months in jail. You can avoid demerit points and a license suspension if the judge reduces the moving violation charge to a non-moving violation. Although you may still face a fine penalty, a non-moving violation will not impact your driver’s license. Because this moving violation carries four points, it is likely that your car insurance rates will go up. A lawyer may talk to the judge for dismissed charges or reduction to a non-moving violation. This will not affect your rates. Wrong lane tickets in the state of Nevada will add four demerit points to both your personal and your commercial driver’s licenses. A wrong lane ticket is more serious for CDL holders. If you make two serious mistakes within a three-year period, your CDL will be suspended for 60 days. If you make three serious traffic mistakes at this time, you will get a suspension that lasts 120 days. Also, you must notify your employer within 30 days of your ticket for turning from the wrong lane. Get advice from an attorney in your home state for turning from the wrong lane in Nevada. You may mail in the fine payment for your Nevada penalty. Your home state will issue points. However, this can vary for many reasons, so hiring a lawyer would be your best bet. If you are in the country legally, this is not a crime that will force you to leave. However, to protect your immigration rights and status, it can be important to discuss the matter with a lawyer. You can seal your records a year after closing the case. You can seal your record immediately with legal counsel for dismissed charges. A misdemeanor ticket for wrong turns might seem like no big deal. However, you can be in worse trouble if you simply ignore the ticket. Payment for the fine must be made by the designated time. If not, the judge will issue a bench warrant for your arrest. You will need to hire legal counsel to have the warrant quashed. If you ignore your ticket, you will want an attorney. Although you can hire an attorney and have a bench trial, there is no need. In most cases, your lawyer can resolve the case before trial. You are always able to simply pay the fine and get it over with. However, this goes on your record and can affect your license and your insurance rates. If you hire legal counsel, your attorney may be able to get the case dismissed. If there is some type of proof that can show you made your turn legally, such as video, photos, or witness reports, you have a good chance of fighting your charges. Even without such evidence, your lawyer can usually make some kind of deal. Between fines, points, and effects on your record, an attorney can be a vital asset in your case. With legal counsel, you may not have to go to court. Also, you might get a better deal than you could if you represent yourself. Have you received a traffic citation while driving in Nevada? Our attorneys at Fix Your Tickets can help you get tickets reduced or even thrown out. For a FREE consultation contact Las Vegas Criminal Defense Attorney Bennair Bateman at 702-605-0505. In many cases, we can get your traffic tickets reduced to a non-moving violation or dismissed with no need for traffic school, and zero demerit points on your driving record.